Scandal-hit: The clean-up at HRDF appears to be far from over. PETALING JAYA: The clean-up at scandal-hit Human Resources Deve­lopment Fund (HRDF) appears to be far from over. In fact, to add to its woes, details have recently emerged about the possible mishandling of a multi-million ringgit property acquisition. 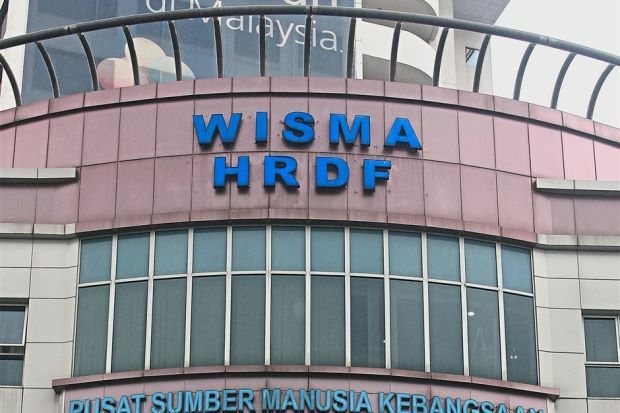 The HRDF management has made police reports claiming there was misconduct or abuse of power in the purchase of part of a building in Bangsar South, Kuala Lumpur, four years ago, because it was done without the knowledge of the board of directors and the investment panel. HRDF bought six floors of a “landmark skyscraper” for RM154mil, including goods and services tax (GST). It has been alleged that some RM40mil was paid even before the issuance of the tax invoice. But the bigger issue, according to sources, was that the HRDF’s board of directors had actually approved the purchase of a different piece of property – another building, also in Bangsar South, for RM141mil before GST. It was learnt that the investment panel was only informed of the switch five months after the first tranche of RM15.4mil had been paid. The sources confirmed that the HRDF has gone to the police and investigations are underway. 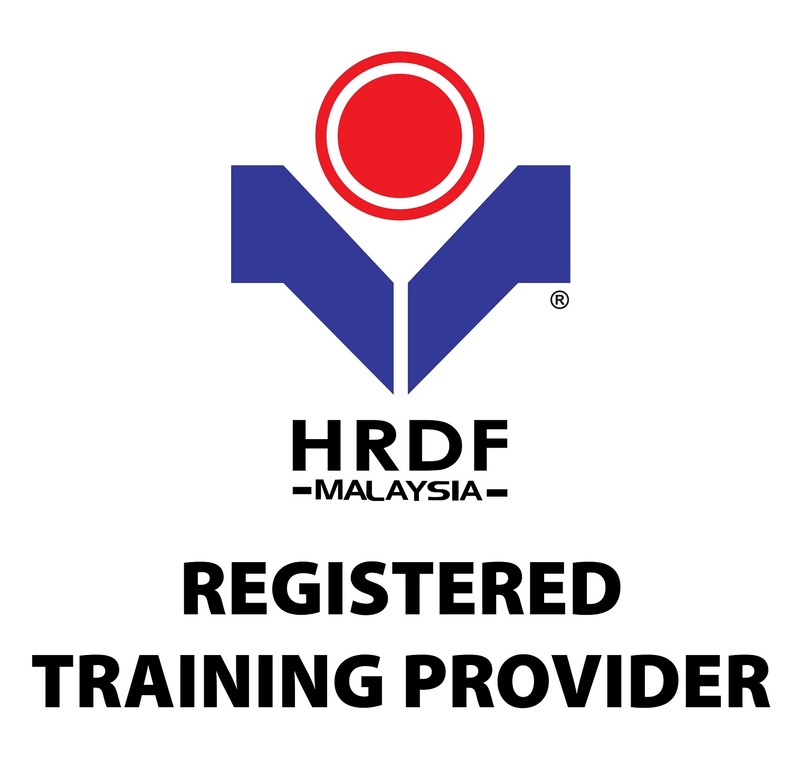 An agency under the Human Resources Ministry, the HRDF manages a fund comprising contributions from employers for the purpose of training and development. In November last year, minister M. Kulasegaran said staff and management personnel were running HRDF as if it was their own company and that the management had in some instances exceeded authority and approved projects beyond its approval limits. This latest accusation regarding the Bangsar South purchase reflects the same governance problems. The first RM40mil of the purchase price was paid in eight tranches. The source said under the Pem­bangunan Sumber Manusia Bhd Act 2001, the minister could only direct the board on matters and was not empowered to approve or consent to entering into agreements. The remaining RM114mil was paid after the signing of the agreement. The six floors of the Bangsar South building were handed over to the HRDF in March 2017. Documents sighted by The Star showed that the investment panel voiced its intention to invest in property in a meeting at the end of 2014. In February 2015, the board of directors approved a proposal to set up a reserve fund and an allocation of RM250mil. It was stated by the CEO then that the property would be for HRDF’s use. Another approval came two months later for the RM141mil property. In May that year, the first payment of RM15.4mil was made, but for the property that cost RM154mil. This was also when the agreement was inked, said the sources. Five months after receiving the keys in 2017, the investment panel decided to rent out the office floors. The board agreed with this move. In May last year, the HRDF began paying service charges of RM66,670 per month for its Bangsar South property. Only one floor out the six has been rented out, giving a monthly income of RM115,168. Surprisingly, the board of directors agreed in March last year to purchase two additional floors in the same building to be used as HRDF’s office. Kulasegaran had previously said that high-ranking staff of the HRDF misappropriated about RM100mil, around a third of the fund’s RM300mil coffers. He also said certain management staff members were overpaid with high salaries and bonuses and there was collusion between managerial staff and external parties to award contracts. When contacted about the Bangsar South acquisition, former HRDF CEO Datuk C.M. Vignaesvaran Jeyandran said the board of directors had given approval before any property was bought. On the claims that the property purchased was not the one which the board had approved originally, he clarified that it was part of a better building by the same developer and was adjacent to the first building. “Everything was done according to the appropriate procedures, that’s for sure. There’s no such thing as buying before getting board approval. “It went through our legal adviser, the investment committee and the audit committee. When we bought the six floors in the other building from the same developer, we also went back to the board and rectified it,” he said. Asked on the purpose of the acquisition, Vignaesvaran said when he stepped down on June 21 last year, it was still an ongoing discussion at the board level whether the property was to be used as HRDF’s office or for investment purposes. 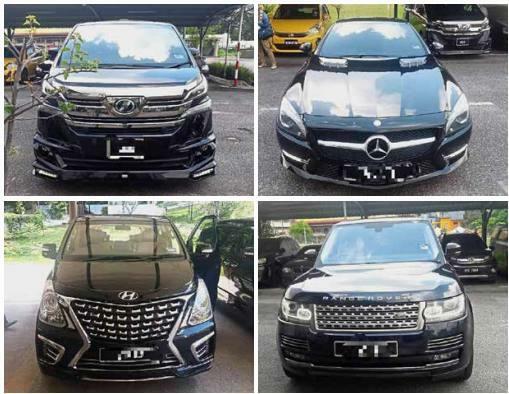 Bukit Aman Commercial Crimes Investigation Department acting director Deputy Comm Datuk Saiful Azly Kamaruddin said the department received two reports on this matter. “We have since referred the case to the Malaysian Anti-Corruption Commission as it is under their purview,” he said. At the time of the Bangsar South property purchase, the HRDF chairman was Datuk Dr Abdul Razak Abdul, who also chaired the investment panel. Datuk Seri Richard Riot was the then human resources minister. The Human Resources Development Fund is to undergo a complete overhaul. A committee has been set up to ensure the fund is rid of weaknesses and misuse of power among senior staff members as well as a promise by its new chairman to personally deal with allegations of graft. The HRDF will also have the Malaysian Anti-Corruption Com­mission seconding one of its officers to the organisation. Its chairman Datuk Noor Farida Mohd Ariffin said this was so that the MACC could establish the proper rules and regulations in the HRDF governance’s clean-up. “HRDF has sought and received the support of the MACC in implementing rules, regulations and procedures to prevent any further misuse or abuse of employers’ money. “MACC has agreed to second one of its officers to HRDF to beef up the unit and to expedite this process,” she said in a statement to The Star yesterday. Last month, the HRDF set up an ad hoc Compliance and Governance Unit to implement the recommendations made by the Governance Oversight Committee (GOC) for the HRDF and to assist in investigations by various law enforcement agencies, said Noor Farida. This came about after Human Resources Minister M. Kulasegaran formed the five-member GOC in June 2018 to review and investigate allegations that RM100mil had been misappropriated under the previous HRDF’s administration. Key findings and recommendations by the GOC were finalised and published publicly on the HRDF website, said Noor Farida, who was appointed as its chairman on Jan 1 by Prime Minister Tun Dr Mahathir Mohamad. Top on the list of GOC recommendations was to stop the segregation of 30% of employers’ human resources development levy towards the Consolidated (Pool) Fund, which was set aside for special projects. “This was made effective from Nov 1, 2018. No funds have since been allocated or spent on special projects,” she said. Noor Farida noted that the move was not received well by certain quarters, including training providers, training institutions and trainers, who claimed that their incomes were affected. The human capital development agency faced heavy public scrutiny following reports of alleged wrongdoings that had taken place under the previous administration. In November last year, Kulasegaran revealed that high-ranking staff members of HRDF misappropriated about RM100mil out of the RM300mil that was in the fund. The Star, in an exclusive report on Jan 9, also highlighted the purchase of a RM154mil property in Bangsar South, also conducted without the approval of the directors and investment panel. The new HRDF management lodged two police reports. The police have since referred the cases to the MACC. Meanwhile, it was reported by an online portal that police would be questioning former HRDF chief executive officer Datuk C.M. Vignaesvaran Jeyandran over the “missing” RM100mil. 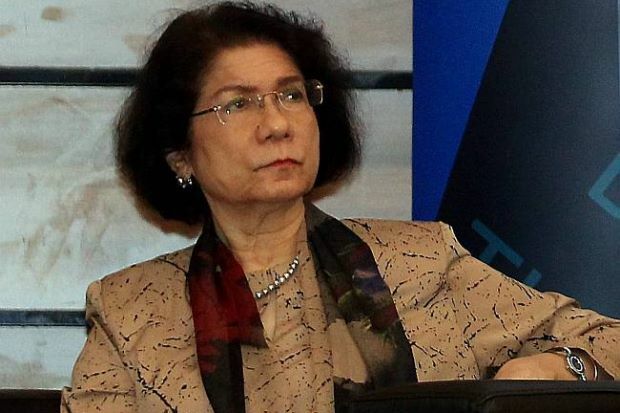 “On behalf of the HRDF board of directors, I want to reiterate that the board is fully supportive of the actions being taken against the wrongdoers by the HRDF,” said Noor Farida. She said she would look into these allegations personally and urged those with any complaints or allegations to email her directly at anoorfarida@hrdf.com.my by Jan 31 so that she could initiate an independent investigation. “If any further information is forthcoming from time to time, it will certainly be investigated,” she added. The findings would also be published over the HRDF website, said Noor Farida. The Equanimity is expected to arrive at Port Klang soon after spending a day in Batam, Indonesia, yesterday. Prime Minister Tun Dr Mahathir Mohamad thanked Indonesia for the good news, though he said if fugitive businessman Low Taek Jho could prove that he had purchased the billion-ringgit yacht with his own money, he could get it back. “If they have proof that they purchased the yacht using their own money and not stolen money, they have the right to get the yacht back,” Dr Mahathir said in a video posted on Facebook. He said the close relationship between both countries was the reason this problem could be solved. “We believe the yacht belongs to Malaysia because it is believed to have been bought with Malaysian money stolen by certain parties. “If there is anyone who claims the yacht is theirs, they can show proof that they own it. We want to know how they managed to amass such a huge amount of money that they were able to purchase such an expensive yacht,” he said. He added that investigations by the US Department of Justice reveal­ed that the yacht was purchased using funds stolen from 1Malaysia Development Bhd (1MDB). A source said the vessel received port clearance from the Batam Marine Department at 2.30pm yesterday, indicating that its next port of call was Port Klang. The source said at least four Malaysian policemen would accompany the ship and its crew here. The yacht arrived in Batam island yesterday morning. By 6pm, it had entered Malaysian waters. It was supposed to head for the Batu Ampar port, but was diverted and anchored near the Pulau Nong lighthouse at the entrance to Tering Bay at around 9.30am yesterday. The yacht had sailed from the Tan­jung Benoa port in Bali last Thurs­day. The Equanimity was seized in Bali in February at the request of US authorities as part of a multibillion-­dollar corruption investigation launched by the Department of Justice over 1MDB. However, a Jakarta court ruling in April declared that the yacht was wrongfully impounded and it was released to its owners after they obtained a court motion to declare that the seizure was illegal. But the vessel was not allowed to leave the Tanjung Benoa port. Last month, Indonesian police seized the yacht again following a formal request for legal assistance from the United States. Reuters reported that the decision by the Indonesian government to hand over the yacht to Malaysia was reached following a personal request made by Dr Mahathir, who visited Indonesia in June. Finance Minister Lim Guan Eng said his ministry intended to reco­ver as much money as it could from the Equanimity. Speaking to reporters at Par­liament lobby yesterday, he said the immediate plan was for the Attor­ney General to ensure that all the paperwork was in order and proper controls were imposed. “If possible, we need to make sure that there is a proper inventory of the assets inside, and we hope that the public can also view it. “This may not be the entire ship, just a portion of it, because there are also a lot of valuable items inside and there must be some sort of control. “At the end of the day, we want to get back as much money as we can from all these ill-gotten gains. “These stolen assets should be sold at the highest price so the money can be returned to the people,” Lim said. Asked if Malaysia would get to keep the yacht, Lim said he would leave it to Attorney General Tommy Thomas to explain, though he said the fact that the yacht was being sent here “speaks for itself”. The Malaysian government’s seizure of the yacht Equanimity is illegal and proof that Tun Dr Mahathir Mohamad’s administration has no interest in a fair and just process, tycoon Taek Jho Low’s lawyers said today. 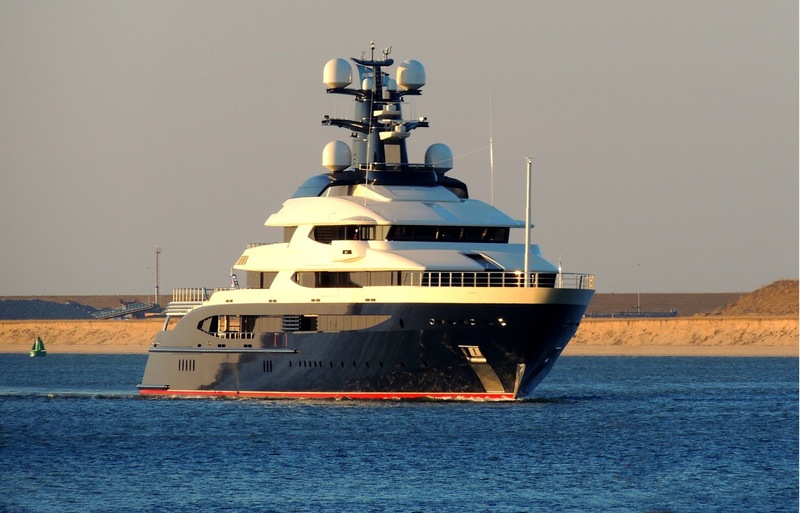 The lawyers representing the fugitive businessman reiterated that the confiscation of the luxury vessel — which they said is owned by Equanimity (Cayman) Ltd — broke an Indonesian law and court decision, besides breaching recent United States court orders. “The yacht’s owner, Equanimity Cayman Limited, had already filed a claim on this asset, which Mahathir ignores. Further proceedings have been issued today in response to this illegal act,” the tycoon’s lawyers said in a statement. They accused Dr Mahathir of bringing the yacht illegally from Indonesia “into a rigged Malaysian system manipulated by a man who only cares about his absolute political rule”. “Since his election, Mahathir has tried reinventing his public image following the appalling abuses of the rule of law he previously presided over, including the Anwar case and the 1988 judicial crisis. “The reality is that he has simply continued on as he did during his previous regime and has shown that his only objectives are political: from freezing bank accounts of rival political parties, to public trial-by-media, where guilt is proclaimed before any evidence is presented,” the lawyers added. Low’s lawyers have pointed out that the United States’ Department of Justice (DoJ) has argued that it must have possession of Equanimity to ensure that the asset retains its value pending a court hearing that can determine the final ownership and the rights of all parties involved. Finance Minister Lim Guan Eng said today he will auction off Equanimity to recover as much money as possible from the luxury boat worth US$250 million (RM1.02 billion). Govt Linked Companies (GLCs) – Monsters in the house? 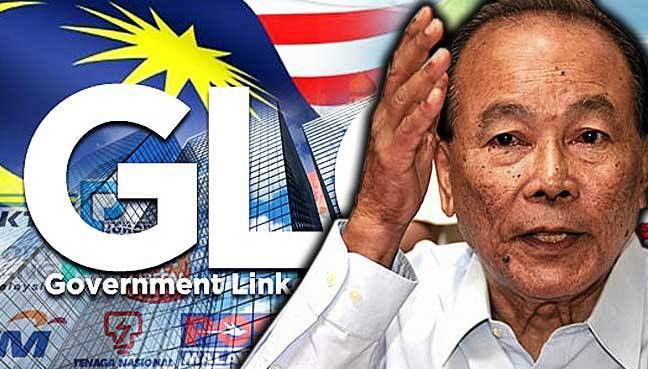 Politicians should not be appointed to run government-linkedv companies (GLCs) to keep graft in check, said Malaysian Anti-Corruption Commission Advisory Board Chairman Tunku Abdul Aziz Tunku Ibrahim.He said politicians holding GLC positions might face conflicts of interest, ading to abuse of power and responsibility. economy, being “huge and rich” enough to be considered “monsters”. Data support his description – GLCs account for about half of the Benchmark Kuala Lumpur Composite Index, and they constitute seven out of the top-10 listed firms in 2018. They are present in almost every sector, sometimes in a towering way. Globally, Malaysia ranks fifth-highest in terms of GLC influence on the economy. Calls to do something about GLCs have increased since the election following the release of more damning information, although most of it relates to the GLCs’ investment arm: government-linked investment companies (GLICs). operational oversight for GLICs, after institutional autonomy is established and internal managerial reforms are introduced. Unlike most GLCs, GLICs are not publicly listed and face little scrutiny. The same applies to the various funds at the constituent state level, which need to be looked at too. For GLCs, the answer is less straightforward. PM Tun Mahathir claims that GLCs have lost track of their original function. Before the Malaysian government decides on what to do, it needs to examine the role GLCs should play – as opposed to the role they currently play – and to examine their impact on the economy. In Malaysia, GLCs were uniquely tasked to assist in the government’s affirmative action program to improve the absolute and relative position of bumiputras. The intention was to help create a new class of bumiputra entrepreneurs – first through the GLCs themselves, and then through a process of divestment. recently. There is also empirical evidence that GLCs have been crowding out private investment, a concern raised in the New Economic Model as early as 2011. Additionally, the new government has correctly highlighted the need to include certain off-balance-sheet items and contingent liabilities, such as government guarantees and public-private partnership lease payments, in any complete assessment of debt outstanding. The use of offshoot companies and special purpose vehicles (SPVs) in the deliberate reconfiguration of certain obligations mean that traditional debt calculations underestimate Malaysia’s actual debt. It is important to recognise at the outset, that there is a legitimate role for government in business – providing public goods, addressing market failures or promoting social advancement. And like in most other countries, there are good and bad GLCs in Malaysia. If a GLC is not crowding out private enterprise, operates efficiently and performs a social function effectively, then there is no reason to consider divestment. But a GLC that crowds out private investment in a sector with no public or social function, or one that is inefficiently run, should be a candidate for divestment. In this regard, one has to carefully study why GLCs should be present in retail, construction or property development, for instance. ongoing benefits through fiscal savings or better allocation of public resources. The divestment process should be carefully managed to ensure that public assets are disposed at fair market value, and does not concentrate market power or wealth in the hands of a few. This has allegedly happened with privatisation efforts in the past. The new government has committed itself to addressing corruption and improving the management of public resources. As part of this process, one must re-examine just how much government is involved in business. This is one of the many tasks that the Council of Eminent Persons is undertaking in the first 100 days of the new government. To be done correctly, would require a careful study of GLCs and their impacts. This could then rejuvenate the private sector while enabling good GLCs to thrive, and fortify Malaysia’s fiscal position in the process. This is what Malaysians should expect – and indeed demand – of the “New Malaysia”. Jayant Menon is Lead Economist in the Economic Research and Regional Cooperation Department at the Asian Development Bank. This is an abridged version of an item that first appeared on the East Asia Forum. be in its last days as the Government plans to review its relevance in multiracial Malaysia. PETALING JAYA: The days of the National Civics Bureau or Biro Tatanegara (BTN) seem numbered with the Government to look into whether it should keep or abolish the controversial agency. Prime Minister Tun Dr Mahathir Mohamad said BTN and several other government bodies had been turned into political tools by the previous Barisan Nasional government. “All this will be studied, we may maintain or abolish it. We found that there are many agencies which have been set up not (to benefit) the government but Barisan; but they use government money to pay salaries,” Dr Mahathir told a media conference after chairing the Parti Pribumi Bersatu Malaysia supreme council meeting. Dr Mahathir, who is Pribumi chairman, was responding to a question on the fate of BTN following the Government’s move to abolish several other taxpayer-supported bodies, namely the National Council of Professors and the Special Affairs Department (Jasa). Set up in 1974 to promote patriotism, BTN has come under fire over the years after numerous complaints about it promoting racial hatred. The Pakatan Harapan Government in its election manifesto has pledged to dissolve the agency which it said had become a political agent for Umno. 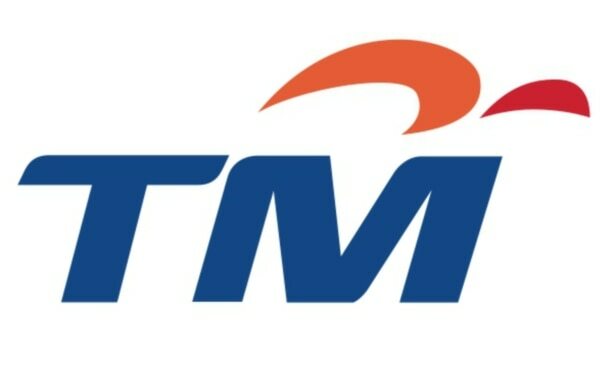 PKR vice-president Nurul Izzah Anwar said the abuse of BTN by the previous government was possible grounds to shut it down. “How many propaganda and brainwashing agencies do we require? BTN has not done much to inculcate a sense of patriotism or belonging,” she said. The bureau’s director-general Datuk Ibrahim Saad could not be reached for comment. BTN, which is under the Prime Minister’s Department, conducts courses for civil servants, government scholarship holders and selected students from colleges and universities. According to DAP adviser Lim Kit Siang, the budgets for BTN multiplied 10-fold in the 1990s (RM200mil) compared to the 1980s (RM20mil), and continued to increase. From 2010 to 2015, the allocation for BTN totalled some RM365mil. Veteran journalist Datuk A. Kadir Jasin said it would not be surprising for the bureau to be shuttered. “If BTN performed a political task and if the Government has already decided to close down other (similar) agencies such as Jasa, then I would imagine that it’s not hard to predict that BTN would or should suffer a similar fate,” said Kadir. The Pakatan election manifesto stated that Umno and Barisan had abused government programmes to spread narrow ethno-religious politics to influence youths. “The Pakatan Harapan Government will dissolve the bureau, which over the years had become a cheap political agent for Umno,” it said. PKR Youth leader Nik Nazmi Nik Ahmad, who has called for a shutdown of BTN, recounted his own experience with it. He was a student when he attended one of the BTN camps back in 2003. “I found the whole affair racial and political in nature. (There were) racial, religious bigotry and hatred against PKR, PAS, and DAP mainly. “BTN was formed for political purposes. It is outdated. Schools, hospitals and universities need money, so let’s prioritise,” he said. MCA publicity spokesman Datuk Seri Ti Lian Ker said a thorough review of BTN should be conducted before a decision is made. “There are institutions we can save instead of just being shut down. We need to ensure they are independent and free to pursue positive progressive ideas,” he said. Ti said a number of institutions started out well but was hijacked along the way by the political masters. “A lot of this happened during Dr Mahathir’s time, so it is good for him to remedy these issues,” he said. Umno information chief Tan Sri Annuar Musa said the Government could do what it wished with the bureau. “My view is very simple; they have the mandate, they are free to do it,” said Annuar. Parti Rakyat Sarawak president Tan Sri James Masing said the functions of BTN needed to be reviewed in order to reflect Malaysian society. “The multiracial nature of our society must be strengthened and reflected in every nook and corner of our nation. No one race can claim ownership of this nation,” he said. Sarawak United People’s Party Youth chief Michael Tiang said any agency that promoted racism and intolerance should be reviewed or even abolished. “Racism and intolerance are never part of the Malaysian spirit,” he said. 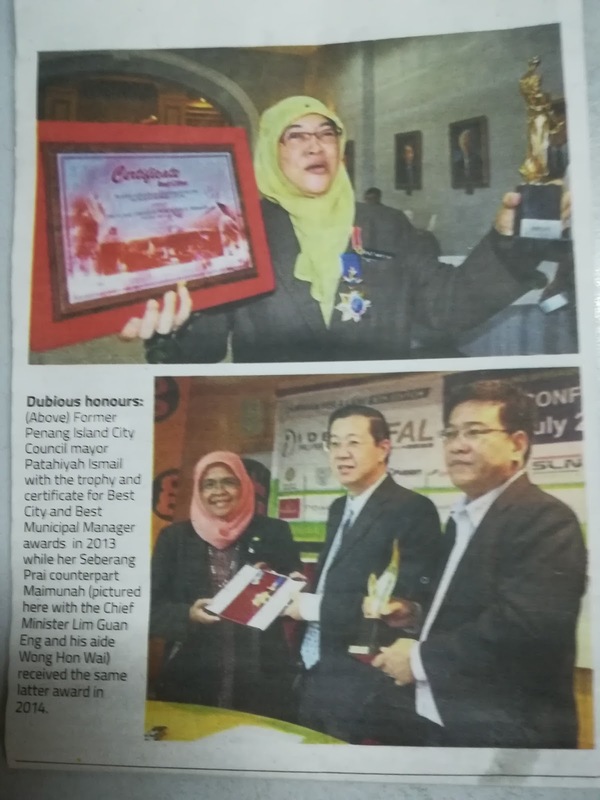 PETALING JAYA: She penned down her experiences attending a team-building course with Biro Tatanegara (BTN) in her diary. And it was not pleasant. Sahana, as she wanted to be known, recounted how one of the lecturers had picked on her physical appearance. During one session, the lecturer even poked fun at some of the participants as a way of engaging the class. I turned to the girl next to me, he said ‘ awak lah, yang hitam, besar tu’ (you, the dark and big sized one) to indicate that he was directing the question to me,” said Sahana, who is now a communication executive. exercises at a camp in Johor. of state so we were excited,” she said. “I already had this complex about being a plus size, so naturally, when remarks like that were made, it really hurt me. “It was a big hit to my self-confidence,” she said, adding that she felt that being dark skinned and large was a big sin. Sahana also found insensitivity when it came to food being served as beef was given to them. A parent wrote to The Star to complain that her son was “hounded” for being Indian. hounded about the actions of the Hindraf movement. issue at every turn and opportunity,” the mother wrote. reminded of the “social contact” in the formation of the country. Malay friends of the family were upset by the programme’s content. There, however, were praises for the programme. understanding of Malaysia but also the spirit of a Malaysian. Another participant wrote of learning more about Malaysia at the programme. Nasional.“I am sure that their next target will include Jakim (Department of Islamic Development Malaysia), Mara, Tekun (Entrepreneur Development Centre), Mara Junior Science Colleges, Universiti Teknologi Mara and others,” said Lokman. BTN, said the bureau needed to represent the country’s plural society.“This is 2018 and yet there are Malays, Chinese and Indians whosay racial things. So I told the panel – let’s try to reduce this.“Let’s emphasise tatanegara, which means the discipline of a nation. Let’s make this whole thing non-racial.”He said he was not sure whether his suggestions were subsequentlytaken up, adding that other panellists also gave some good ideas.Dr Tan said BTN should only be closed if efforts to change it failed. “If we are to shut down everything we don’t like, then why not close ministries and everything else? “If it is impossible to revive the BTN, then it is reasonable to shut it down. But this is not a question that it cannot be revived but of getting the policy right,” said Dr Tan. https://youtu.be/fCZj0DuDNUk Robert Kuok attends CEP meeting Najib arrives at MACC HQ to have his statement recorded .. The Origins and Evolution of Ethnocracy in Malaysia: The Malay Supremacy! GEORGE TOWN: The Penang state government is shocked at claims that RM22mil was paid to two individuals to cover up investigations into alleged corruption in Penang’s undersea tunnel project – and wants the developer consortium Zenith Construction Sdn Bhd (CZC) to come clean on the matter. Chief Minister Lim Guan Eng said the state government was shocked by news that CZC allegedly paid RM19mil to an unnamed businessman and RM3mil to Baling MP Datuk Seri Abdul Azeez Abdul Rahim. “This is something we had no knowledge of,” he said. Lim was referring to the remand of a high-profile “Datuk Seri” for allegedly receiving RM19mil to close the corruption probe into the controversial RM6.34bil Penang undersea tunnel project. An online news portal, quoting sources, has also reported that CZC has issued a demand letter on Feb 24 to Abdul Azeez. Rover and a Hyundai Starex, seized from the Datuk Seri. calling for the Sedition Act to be repealed, in Kuala Lumpur in 2014. 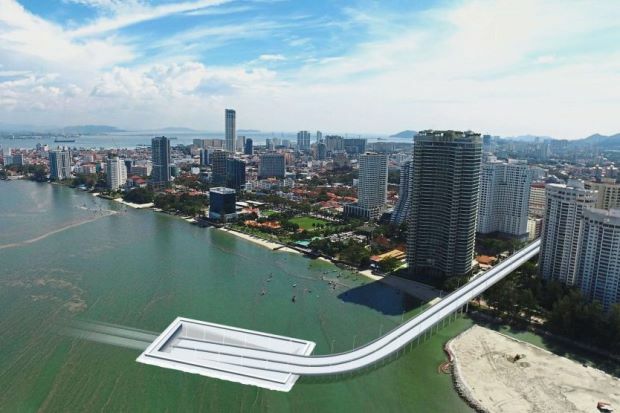 ‘In the very first place, does Penang really need an undersea tunnel and three main highways? Are the new infrastructures going to so..
Filepic: PenangPropertyTalk Did the Penang Govt do a “bait and switch” on the Penang people? That was the question pose. Penang floods and landslides, looking beyound natural causes! Seeking solutions: Penang Forum member and soil expert Dr Kam Suan Pheng giving her views during the dialogue session themed ‘Penang Fl.. Speaking out: Penang Forum members protesting outside the CAP office in George To wn. Don’t just make it about worker safety issues ..
KUALA LUMPUR: The Government has vowed to end “crony capitalists” whose wealth came at the cost of ordinary Malaysians, said Datuk Seri Najib Tun Razak. The Prime Minister said lessons had been learnt from past mistakes in planning Malaysia’s economic transformation, after confronting many “legacy issues” along the way. “Some of the country’s development under a former leader came with an unnecessary price tag, in the form of a class of crony capitalists,” he said in his keynote address at Invest Malaysia 2018 yesterday. Citing public transport as an example, Najib said massive overhauls had to be done to rectify the issue. “One man’s obsession with the idea of a national car – which is now being turned around under international joint ownership – led to Malaysia lacking an efficient public transport system. “This was a serious obstacle to achieve high-income status and for Kuala Lumpur to be a world-class capital,” he said. Although no name was mentioned throughout his speech, it was an apparent dig at former premier Tun Dr Mahathir Mohamad. Najib also said that during this time, the Government had signed independent power producer concessions that were lopsided. “Consumers had to pay far more for energy than they should have, even for energy they were not using. “This was a real burden to the people, so we renegotiated these concessions – and determined that in the future, we would not allow private companies to earn excessively at the expense of ordinary Malaysians,” he said. Najib also pointed out that the ringgit had been pegged against the US dollar for “far too long”. “Investors and global markets lost confidence in us, and it took a long time to win that back. That was a very heavy cost to the country,” he said, stressing that the Government would never repeat that measure. He also spoke on the challenges at state-owned institutions, such as 1Malaysia Development Bhd (1MDB), which were amplified and used as a tool to suggest that Malaysia’s economy was collapsing. “I’m not going to brush over this issue. There were indeed failings at the company, there were lapses of governance. There was a valid cause for concern. “This is why I ordered one of the most comprehensive and detailed investigations in Malaysia’s corporate history, one that involved multiple lawful authorities, including a bipartisan parliamentary body. “Their findings were taken on board and the company’s board was dissolved, its management team changed and its operations reviewed,” he said. On another note, Najib rubbished claims that Malaysia was welcoming foreign direct investments (FDIs) by selling out the nation’s sovereignty. “My Government will never sacrifice an inch of our sovereignty,” he said, adding that while RM63bil in FDI stock came from China and Hong Kong, there was more from Japan at RM70bil. “You don’t hear anyone warning that we are selling our country to the Japanese. “Of course not. They are most welcome here. So are investors from Africa, the Americas, China, the European Union, India, Saudi Arabia and around the world,” he said. Moving forward: Najib attending the Invest Malaysia 2018 launch together with (from left) Bursa Malaysia Bhd CEO Datuk Seri Tajuddin Atan, Treasury secretary-general Tan Sri Dr Mohd Irwan Serigar Abdullah, Chief Secretary Tan Sri Dr Ali Hamsa, Finance Minister II Datuk Seri Johari Abdul Ghani, Bursa Malaysia chairman Tan Sri Amirsham Abdul Aziz and Malayan Banking Bhd chairman Datuk Mohaiyani Shamsudin in Kuala Lumpur. 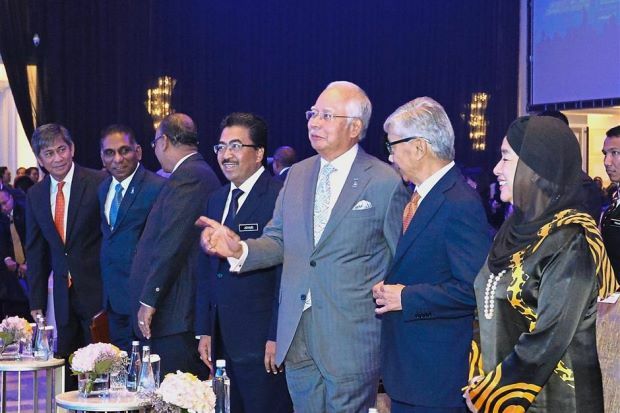 KUALA LUMPUR: Malaysia will continue to develop three key areas – transparency, accountability and efficiency – to attract more investments, said Datuk Seri Najib Tun Razak. The Prime Minister observed that the country’s excellent economic and financial fundamentals had greatly benefitted local and foreign investors, providing them with stability, strength and certainty. “We will continue to make our country even more business- and market-friendly, which means we are always working to improve transparency, accountability and efficiency. “The Securities Commission, Bursa Malaysia, Bank Negara Malaysia and the Finance Ministry have continuously introduced and supported measures to increase the dynamism of our capital market. “Towards this objective, I can assure you that we can expect further measures in the near future,” he said in his keynote address at Invest Malaysia 2018 here yesterday. The two-day annual event is jointly organised by Bursa Malaysia Bhd and Maybank. A total of 61 local companies, with a combined market capitalisation of RM767.6bil were featured in the event. The Prime Minister also cited figures that justified the confidence in Malaysia shown by investors and global institutions. “Our total trade grew strongly by 20.8% between January and November last year, while in November alone, gross exports reached double-digit growth of 14.4%, with the highest receipts ever recorded, at RM83.5bil. “Last year, foreign net fund inflow recorded a positive RM10.8bil, the highest since 2012, while corporate bond and new sukuk issuance reached RM111.2bil for 11 months of the year, close to 30% higher than the whole of 2016,” he said. Najib also observed that Malaysia has enjoyed years of strong growth, with figures that most developed economies “could only dream of”, even during times of economic uncertainty. “In fact, last year Malaysia exceeded all expectations, with the World Bank having to revise its estimate for our growth upwards not once, not twice, but three times – to 5.8%,” he said. Najib added the World Economic Global Competitiveness index for 2017 and 2018 rate Malaysia very highly out of 137 countries. The country is ranked third for Strength of Investor Protection, fifth for Pay and Productivity, fifth for the low Burden of Government Regulation and 14th for the Quality of Education System. “The International Monetary Fund has also praised our sound macroeconomic policy responses in the face of significant headwinds and risks. “The World Bank also recently confirmed that it believes Malaysia is on track, and that we are expected to achieve high-income status in the next few years,” he said. Mereka Rasuah Kita Bayar! 3J drive: Jangan Kautim, Jangan Hulur, Jangan Settle! In troubled waters: An artist’s impression showing where the tunnel project will start on the island. PETALING JAYA: The Malaysian-Anti Corruption Commission (MACC) probe into the controversial Penang undersea tunnel is focused on land swaps that were made for the feasibility and detailed design study which has yet to be completed. Sources said investigators are scouring documents involving two plots of land – Lot 702 and Lot 713 in Bandar Tanjung Pinang – with a size of 1.48ha and 2.31ha respectively. The value of Lot 702 is around RM135mil while Lot 713 is around RM160mil. It is learnt that both parcels of land have since been mortgaged to banks to obtain financing. The state government has also authorised planning permission on both parcels of lands. “The state government paid the consultant for the feasibility studies by means of two land swaps. The cost for the feasibility study is around RM305mil. “It has become an issue on why the study cost was inflated so much when it should have been an estimated RM60mil,” sources said, adding that determining the inflation and the reason behind it were among the challenges faced by the investigating team. The sources also said that the graft-busters have their sights targeted on “somebody” who has been enjoying kickbacks and entertainment from the deal. 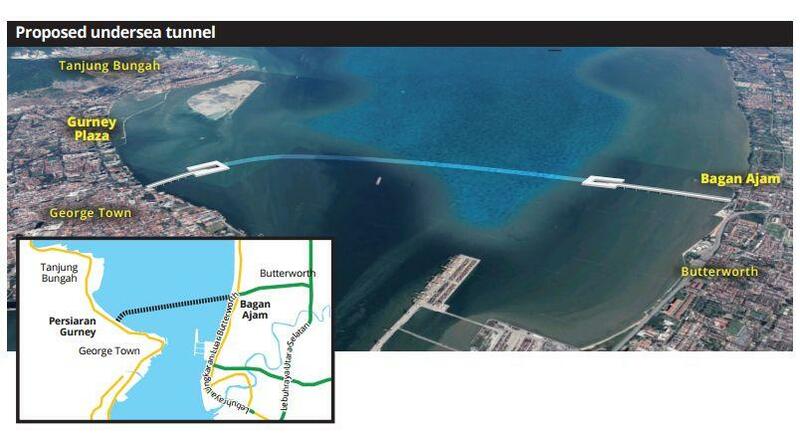 The feasibility and detailed design study is for the 7.2km undersea tunnel connecting Gurney Drive on the island to Bagan Ajam in Seberang Perai. It is part of the RM6.3bil mega project comprising a 10.53km North Coastal Paired Road (NCPR) from Tanjung Bungah to Teluk Bahang, the 5.7km Air Itam–Tun Dr Lim Chong Eu Expressway bypass and the 4.075km Gurney Drive–Tun Dr Lim Chong Eu Expressway bypass. Yesterday, the investigating team also questioned four officers from several state government agencies on the land swaps. Sources added that the anti-graft agency also raided a property agency office in Penang and carted various documents away. It is learnt the chief executive officer of the company was not around during the raid. MACC deputy chief commissioner Datuk Seri Azam Baki said his investigating team has yet to call in any witnesses for the case as they are still conducting a thorough study on the seized documents. He added that the officers would still be obtaining more documents from the companies involved and also from the state government. Taken away: Officers escorting one of the men out of the courthouse in Putrajaya. A swap involving two parcels of land worth close to RM300mil is in the spotlight as the MACC intensifies investigations into claims of corruption in Penang’s undersea tunnel project and several accompanying highway projects. Two ‘Datuks’ have been remanded and several key officials in companies and agencies involved in the project have been questioned. But Chief Minister Lim Guan Eng says the project will go on. GEORGE TOWN: Chief Minister Lim Guan Eng says the undersea tunnel project, now the subject of a corruption investigation, will proceed unless there is a court order to stop it. He said he was baffled by yet another investigation into the project as the Malaysian Anti Corruption Commission (MACC) had been conducting an investigation into the RM6.3bil mega project comprising the tunnel and three other highways since 2016. “What are they investigating now? Is it because of the looming general election? “The project was awarded via an open tender overseen by international accounting firm KPMG. “Still, I have instructed everyone involved to give their full cooperation to the MACC in its investigation as we have nothing to hide,” said Lim at a press conference at Komtar yesterday. On Tuesday, graft-busters arrested two “Datuks” involved in the controversial Penang undersea tunnel project to help in investigations into claims of corruption. The duo, who were picked up in Putrajaya and Penang, have since been remanded for six days to facilitate the probe. The anti-graft agency raided the offices of four state government agencies – the Penang Public Works Department, Penang State Secretary, Penang Office of Lands and Mines and Penang Valuation and Property Services Department – and three property development and construction companies – Ewein Zenith Sdn Bhd, 555 Capital Sdn Bhd and Consortium Zenith Construction Sdn Bhd’s Penang office. MACC officers also questioned several officers in charge of the respective agencies and companies. Sources familiar with the investigation said the probe into the undersea tunnel project was also zooming in on land swaps. Ewein Zenith is a joint-venture vehicle of Ewein Land Sdn Bhd and Consortium Zenith BUCG Sdn Bhd. The latter is a Malaysia-China joint venture that was awarded the RM6.3bil mega project to build the 7.2km undersea tunnel connecting Gurney Drive on the island to Bagan Ajam in Seberang Prai, a 10.53km North Coastal Paired Road (NCPR) from Tanjung Bungah to Teluk Bahang, the 5.7km Air Itam–Tun Dr Lim Chong Eu Expressway bypass and the 4.075km Gurney Drive–Tun Dr Lim Chong Eu Expressway bypass. Consortium Zenith BUCG changed its name to Consortium Zenith Construction Sdn Bhd on Jan 18 last year after the withdrawal of Beijing Urban Construction Group (BUCG). In a related development, Vertice Bhd (formerly known as Voir Holdings Bhd) said the current investigation by the MACC will not impact the progress of the undersea tunnel project. It said the project was an integral component of the Penang Transport Master Plan and that the role of Consortium Zenith Construction as the main contractor would remain. Consortium Zenith Construction is a 13.2% associate company of Vertice. PUTRAJAYA: Two high-ranking bosses of development and construction companies have been remanded for six days as graft investigators continue their probe of the Penang undersea tunnel project. The two “Datuks” were held here and in Penang before being brought to court. 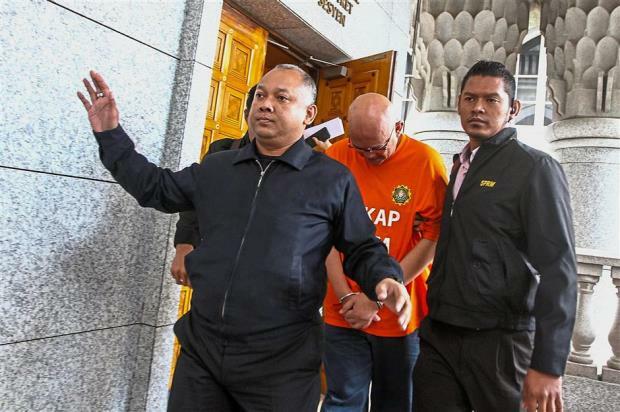 A 59-year-old businessman was brought to a magistrate’s court here at 9.40am yesterday and remanded for six days until Monday to help with the Malaysian Anti-Corruption Commission’s (MACC) investigation. Magistrate Fatina Amyra Abdul Jalil allowed MACC prosecutors’ remand application although the Datuk’s lawyer Hamidi Mohd Noh objected, arguing that there was no need for his client to be held. “I told the court that my client has been cooperative with the MACC. “I would also like to point out that my client is innocent and his remand is only to assist the investigation,” he told reporters after the proceedings. The MACC had initially asked for the Datuk to be held for seven days but the magistrate only allowed six days. He was arrested at the MACC headquarters at around 8.45pm on Tuesday after being called for his statement to be recorded. In George Town, another Datuk was brought to court for a remand application at 11.40am. He was handcuffed and wearing MACC’s orange lock-up T-shirt with black pants when he arrived at the courthouse escorted by MACC officers. The 49-year-old appeared calm and smiled to reporters but did not say anything before he was led inside. 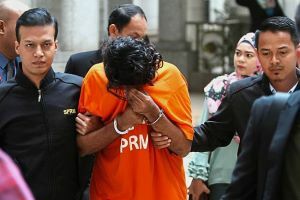 Deputy registrar Muhammad Azam Md Eusoff granted a six-day remand order and the businessman was escorted out of the courthouse about 30 minutes later. The case is being investigated under Section 16(a)(B) of the MACC Act 2009 for bribery. It is also believed that one of the Datuks remanded yesterday tested positive for drugs. On Tuesday, MACC personnel raided the offices of four state government agencies – the Penang Public Works Department, Penang State Secretary, Penang Office of Lands and Mines and Penang Valuation and Property Services Department – and three property development and construction companies believed to be related to the case. The project involves a plan to bore a 6.5km tunnel below the seabed to connect north Butterworth and the island. The tunnel is to connect Bagan Ajam, a mature suburb of about 5km from the Butterworth ferry terminal, to the end of Gurney Drive near the Pangkor Road junction on the island. Connected to the project are three paired roads to be built on the island as a traffic dispersal system to cope with the traffic that the tunnel would bring to Gurney Drive, which is already densely developed. The three paired roads are from Teluk Bahang to Tanjung Bungah, from Pangkor Road to the Tun Dr Lim Chong Eu Expressway – part of this stretch will be underground – and from Air Itam to the expressway near the Penang bridge. To finance the construction, projected to cost RM6.3bil, the state government is giving payment in kind of 44.5ha of state land to the contractor, Consortium Zenith Construction. Chief Minister Lim Guan Eng told the state assembly in 2014 that the land was valued at RM1,300 per sq ft and the project, ending with the tunnel, is scheduled for completion in 2025. It was reported last March that RM135mil worth of land had been given to the contractor as payment to fund the feasibility studies and detailed studies. A public-listed company announced in January 2016 that it had secured an agreement to buy 20.2ha of the land from the contractor over 10 years at RM1,300 per sq ft. It is believed that the MACC is looking into why the state government allowed the contractor to presell state land despite delays in the project construction. GEORGE TOWN: Investigations into allegations of corruption in the proposed Penang Undersea Tunnel project are expected to deepen with more people likely to be called up for questioning. A source in the Malaysian Anti-Corruption Commission (MACC) said the focus was on the feasibility and detailed design study, which had been paid for but not completed. “We will call in more people involved in the project to assist in investigations into the study,” the source said. He declined to comment on whether more arrests would follow after two “Datuks” were remanded for six days yesterday to help in the investigations. The two were remanded in George Town and Putrajaya for investigations into the corruption allegations. The MACC source declined to share details on evidence collected that led to the remand of the two Datuks yesterday but confirmed that it was about the delayed feasibility study and detailed designs. The feasibility, detailed design studies and environmental impact assessment was reported to cost RM305mil with RM220mil already paid. Since 2015, NGOs, government agencies, political parties and state assemblymen had asked about the payment and studies, only to be met with replies they considered unsatisfactory. 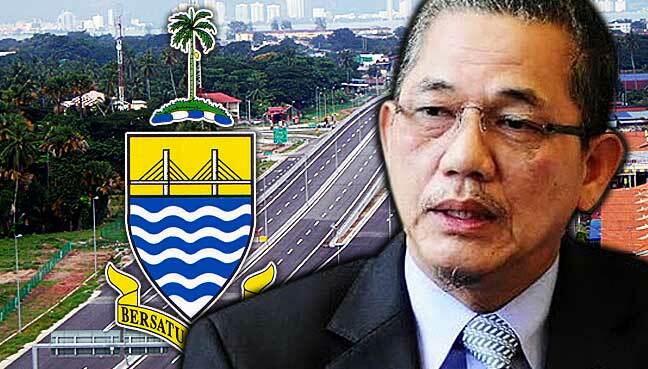 Last July, the Works Ministry and Board of Engineers Malaysia (BEM) repeatedly asserted that Penang significantly overpaid, by four times, design fees involving three roads. Barisan Nasional strategic communications director Datuk Seri Abdul Rahman Dahlan sought the professional opinion of BEM, and it was reported that BEM replied that the detailed design costs were four times higher than the maximum allowed under the gazetted scale of fees based on the total project cost. Last August, the state government declared that the feasibility studies would be ready by September. In October, however, Works Minister Datuk Seri Fadillah Yusof said his ministry “had not seen a single page” of it. More arrests are likely in the investigations into claims of corruption in Penang’s RM6.3bil project involving an undersea tunnel and three highways after MACC officers raided 12 more places and took statements from a dozen witnesses. They are looking into an agreement on payments to the concessionaires but Penang Chief Minister Lim Guan Eng says there was no wrongdoing and that not a single sen has been paid for the undersea tunnel project. PETALING JAYA: Investigators looking into the allegation of corruption in the Penang undersea tunnel project are said to be thoroughly looking through the papers related to the contract for the feasibility study for the undersea tunnel. “The agreement looks suspicious and the feasibility study for the mega project does not exceed RM305mil as announced by the state government,” sources said. “The state government might have made a payment which is way different than the real value of the study,” they said. On Thursday, The Star reported that the graft-busters were zooming in on the land swaps of two plots of land in Bandar Tanjung Pinang. The sources also say that the reclaimed land for the land swaps were of high value for development. It is believed that the state JKR has set the value for the study and that allegations of misappropriation were raised when the value that was paid far exceeded the initial value. To finance the construction of the tunnel and three paired roads on the island, projected to cost RM6.3bil, the state government is giving payment in kind of 44.5ha of state land to the contractor, Consortium Zenith Construction. Chief Minister Lim Guan Eng had told the state assembly in 2014 that the land was valued at RM1,300 per sq ft and the project, ending with the tunnel, is scheduled for completion in 2025. It was reported last March that RM135mil worth of land had been given to the contractor as payment to fund the feasibility studies and detailed studies. However, the study has not been completed although the land has been handed over. A public- listed company announced in January 2016 that it had secured an agreement to buy 20.2ha of the land from the contractor over 10 years at RM1,300 per sq ft. It is believed that the MACC is looking into why the state government allowed the contractor to presell state land despite delays in the project construction and the study. Wee: Why is a fashion firm an SPV shareholder? Dismayed over the exorbitant engineering consultancy fees, 4 times higher ! Behind BJ Cove houses at Lintang Bukit Jambul 1 is IJM Trehaus Project. Approximate Coordinates : 5°20’38.47″N,100°16’52..